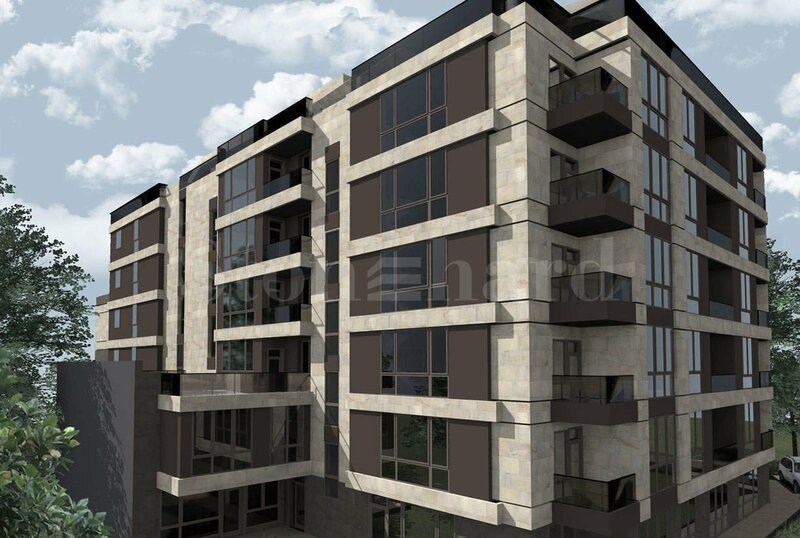 Newly built complex located at the foot of Vitosha Mountain, part of the modern neighborhood "Manastirski Livadi - Zapad" District, in close proximity to Bulgaria Blvd. Thanks to this location, the properties are both far from the hussle of the city and yet close to the center. Business centers Belisimo and Ergon, Astra complex, Festa Barcelo, Michel residential and administrative building, and Bokar complex are located in the area. The area is abundant in facilities and services. BILLA Hypermarket is 500 meters away, two schools and three kindergartens are nearby, as well as a polyclinic, a market, several banks, and a petrol station. The National Palace of Culture is a 7-minute drive away, and several public transport lines cover the area. The new building is of a mixed type and offers a wide choice of apartments and studios, offices and underground parking lots. The building is built on a plot of 1158 sq.m and has a total built-up area of 4049 sq.m. According to the project, the building feature nine floors, two underground parking levels, one ground floor with offices and six residential floors. 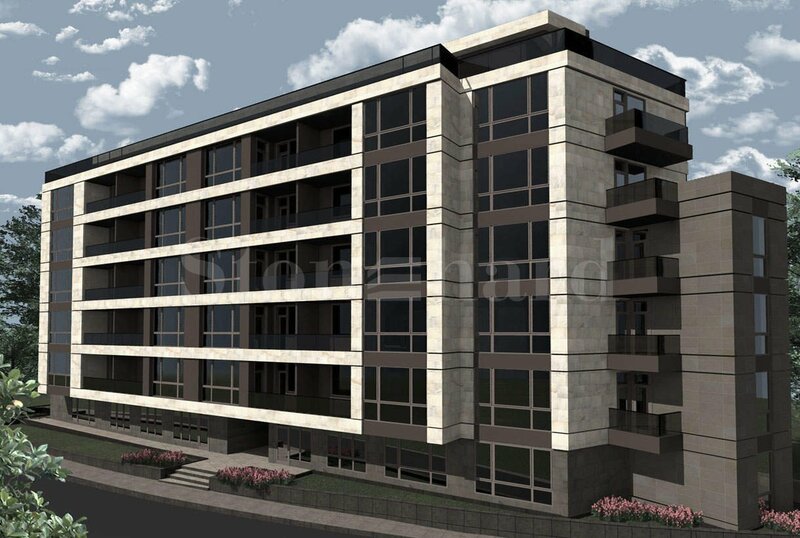 The apartments are 38 in number, including one-, two- and three-bedroom apartments with an area between 54 - 110 sq.m. The offices are 4 in number, all spacious and comfortable, with an area starting from 105 to 151 sq.m. They have separate entrances and access to a reception area and a bathroom/wc for disadvantaged people. The office project envisages options for offices with separate working premises and meeting rooms, as well as options with spacious open-plan common rooms. All offices have a kitchenette and a private bathroom/wc. The parking spaces are 46, located on two underground levels. In addition, there are 2 outdoor parking lots on the ground level. On the first underground level are situated parking spaces 1 to 22, with 2 parking spaces for disadvantaged people and 2 separate garage cells. On the second underground level are situated parking spaces 23 to 46, and there are also 2 parking spaces for people with disabilities and two separate garage cells. There are also parking spaces for smaller cars. * The published prices include VAT. There is currently no maintenance fee. Height of floors: 2.70 cm. Built-in pipe lines for individual gas heating, including aluminum radiators, no boiler pot. Built-in pipe connections for air conditioning, split system in the living rooms. Vertical chimneys for ventilation and clean air of the boiler pots made of stainless material. Sanitary rooms - ventilated ventilation systems installed without fans. Water supply - Polypropylene plumbing tubes with no sanitary equipment. Water measurement with water meters with remote reading. Drainage - built-in system of drains, drainage grids and rainwater pipes. Drainage of the condensate water from the boiler pot and the air conditioners hidden in the walls. Electrical installations - supply of the apartments, offices and studios located at the entrance of the building. Cables in UPVC pipes located in a split system in the walls. Schneider Electric flat panel enclosures, complete with fuses and earth leakage protection. Switches and sockets Schneider Electric. Telephone installation in a common panel in the building. Bell-installation, intercom installation system for the electric lock opening at the entrance. Intercomphone in the flat with a dashboard connection on the ground floor with intercom speaker and bell buttons. The complex is situated in the foothills of Vitosha mountain, part of the modern neighborhood "Manastirski Livadi - Zapad", close to Bulgaria Blvd. Thanks to this location, the properties are both far from the city noise and yet close to the center. In the area are to be found business centers Belisimo and Ergon, Astra, Festa Barcelo Hotel, residential and administrative building Michele, as well as Bokar complex. The construction works of the complex have began in November 2016. The building was issued Act 14 in September 2017 and received Act 15 in March 2018. Permission for usage is expected in October 2018.